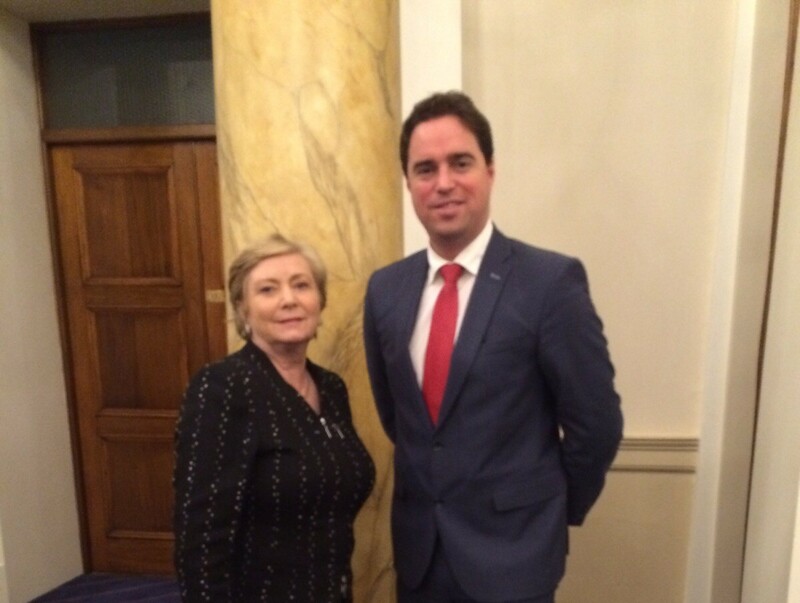 Martin Heydon Fine Gael TD for Kildare South has welcomed the passing of legislation in the Dail this week by Minister for Justice Frances Fitzgerald to reduce the period of Bankruptcy to one year. The Bankruptcy (Amendment) Bill 2015 which seeks to modernize and streamline the bankruptcy procedure passed all stages of the Oireachtas yesterday (Thursday) and will not be signed by the President. “This is a welcome move which will help those who unfortunately find themselves in the position that they have no option but to seek bankruptcy. The Bill provides for a reduction in the normal duration of bankruptcy, from 3 years to 1 year, as well as an extended bankruptcy term (up to 15 years in serious cases), and extended duration of payments to creditors, if the bankrupt person tries to hide income or assets, or does not co-operate with the bankruptcy process. In addition the Bill provides that a bankrupt person will regain the ownership of their home, subject to any mortgage, after 3 years, if steps have not been taken to sell it for the benefit of creditors within that period, and includes some key reforms to modernise and streamline bankruptcy procedures, and remove unnecessary delays and costs to the parties and the taxpayer. “I support Minister Fitzgerald in her reform of our bankruptcy laws. These new provisions will ease the impact of bankruptcy on the large majority of people who never wanted to go bankrupt, and who have handed over their income and assets towards repayment of their debts. For these people, the Bill offers a second chance, and an earlier return to normal economic activity. “At the same time, the Bill contains very strong provisions to deter and penalise anyone who tries to abuse the bankruptcy process or to cheat their creditors. And it introduces some key reforms to bankruptcy procedures which will free up Court time and resources, save unnecessary costs, and allow increased efficiency and effectiveness of bankruptcy investigations.